While head movement can be an integral part of new VR experiences, it's rare for a game on a traditional monitor to incorporate that kind of motion control. But that's precisely what indie developer LimboLane has done with their upcoming experimental adventure, Smile for Me. In the Habitat, a kind of "eerie self help retreat that promises fulfillment and a guaranteed smile to its members," an imminent "Big Event" is troubling the 22 residents and affecting their happiness. As a flower delivery person, you become the "Silent Savior" whose job it is to "nod and shake your head to chat with new friends, and solve their mysteries to cheer them up." Everyone in the resort has their own "totally unique predicaments, and only through conversation can you discover what each character needs." Since you cannot speak, however, you can only communicate through simulated head gestures in response. As you "engage in branching conversations with tons of personality" and "tackle tricky puzzles using dozens of bizarre items," in the process you must also attempt to "de-mask the mysterious Doctor Habit... before it's too late." While its "core gameplay revolves around inventory puzzles" more typical of point-and-click adventures, Smile for Me is a first-person, keyboard/mouse-controlled experience that makes strategic use of its free-roaming perspective. Inspired by titles like Psychonauts, The Dream Machine, Dropsy and the '90s genre classics, the game nevertheless has a distinct style all its own, blending "3D, 2D, film, photographs, and puppetry." 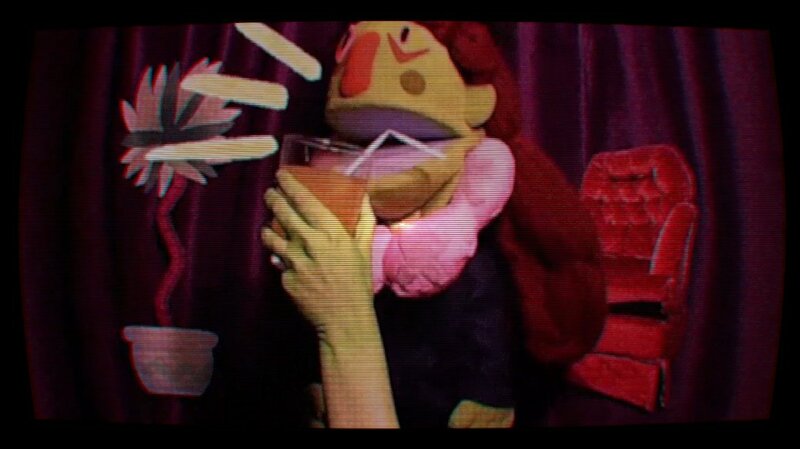 Conceived by indie designers Gabe Lane and Yugo Limbo, the unique presentation sprang from "Yugo's love for multimedia [which] materialized into the game's collage-art and live-action puppetry, while Gabe's desire to create immersive, nontraditional mechanics resulted in the game's nod-and-shake controls." 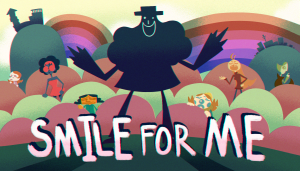 If you're nodding along at home, thinking this might be right up your alley, there isn't much longer to wait, as Smile for Me is due to launch on Steam and itch.io for Windows PC sometime this May. In the meantime, you can learn more about the game through the official website. Smile For Me is an unconventional first-person Point-and-Click Adventure about making people happy! Immerse yourself in a captivating multi-media world, and be the Silent Savior of the Habitat’s residents.